Heeeey folks! Sorry I've been so sporatic in posting these days. Such is life. I'm glad you still love me despite my inconsistencies as of late. 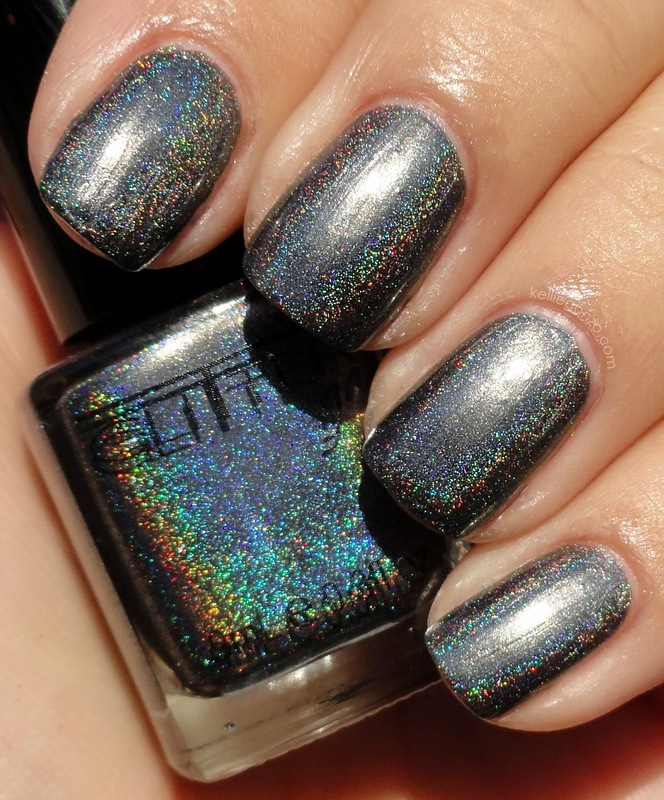 This is Glitter Gal's newest holographic nail polish called 10 to Midnight. 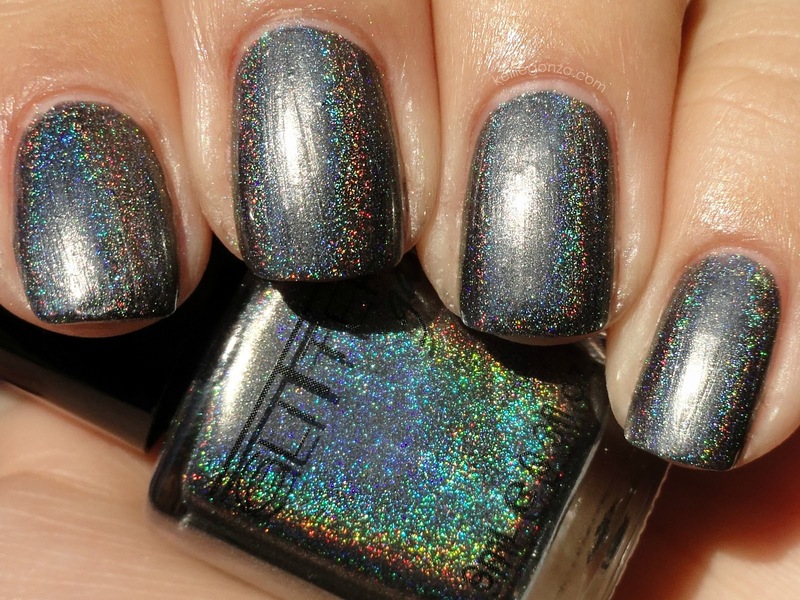 It's a slightly frosty charcoal grey with that amazing rainbow linear holo. I wasn't aware it had a frost finish before I tried it and wasn't sure how it would turn out once I realized it, but it totally works. Three coats. You can find this at Llarowe online store, who carries tons of awesome brands that are hard to get in the states. There's been a lot of buzz about more new GG colors coming soon, so I'm way pumped for that of course! Glitter is life.